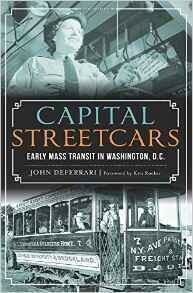 Washingtons first streetcars trundled down Pennsylvania Avenue during the Civil War. By the end of the century, streetcar lines crisscrossed the city, expanding it into the suburbs and defining where Washingtonians lived, worked and played. One of the most beloved routes was the scenic Cabin John line to the amusement park in Glen Echo, Maryland. From the quaint early days of small horse-drawn cars to the modern streamliners of the twentieth century, the stories are all here. 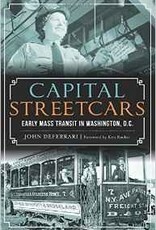 Join author John DeFerrari on a joyride through the fascinating history of streetcars in the nations capital.